All the types of gears made by CIAP reflect our company strategy that aims at strengthening the production line with sophisticated machinery with a high technological value to offer more and more competitive costs while maintaining excellent quality standards. Realising the potential of electric motors for the future of this sector, CIAP has also decided to undertake further measures to improve the performance of the gears by cutting down the noise they emit while running. For this type of gear we use the skiving technique which employs extremely high precision machinery to ensure the finest finishes, even on small gears. 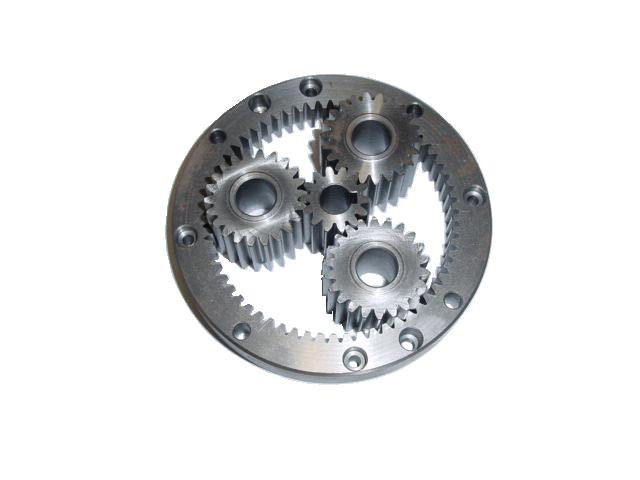 We manufacture all types of gears to the customer’s specifications: complete gearboxes for motorcycles, primary transmission pairs, oil pumps for motorcycles, timing units, backlash recovery units, speed variators, reduction gears, gears for gear motors and gears for electric motors. 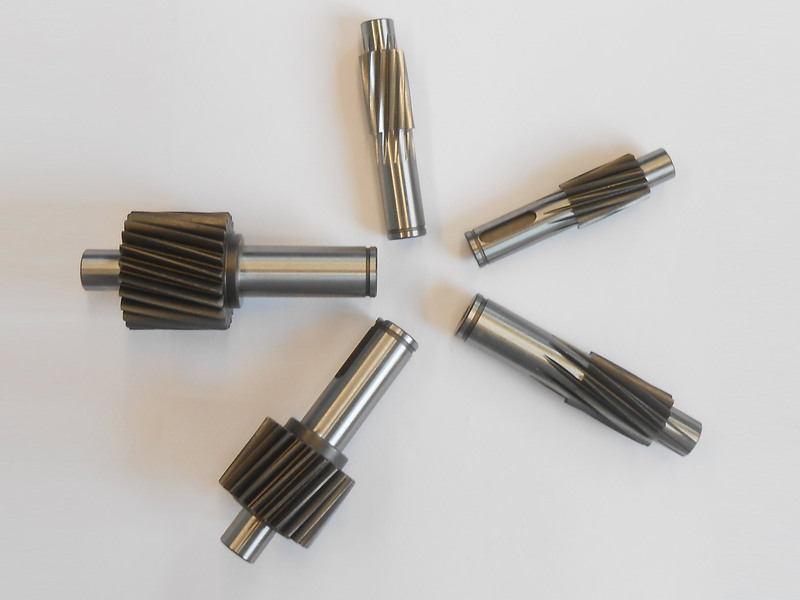 Based on the blueprints supplied by the customer and employing a co-design approach, we make splined shafts and gear wheels for various applications, predominantly Motorbikes, chain gears, timing gears, gears for electric starters and kickstarts, water pump gears, gears with backlash recovery, balance shafts and gear wheels. 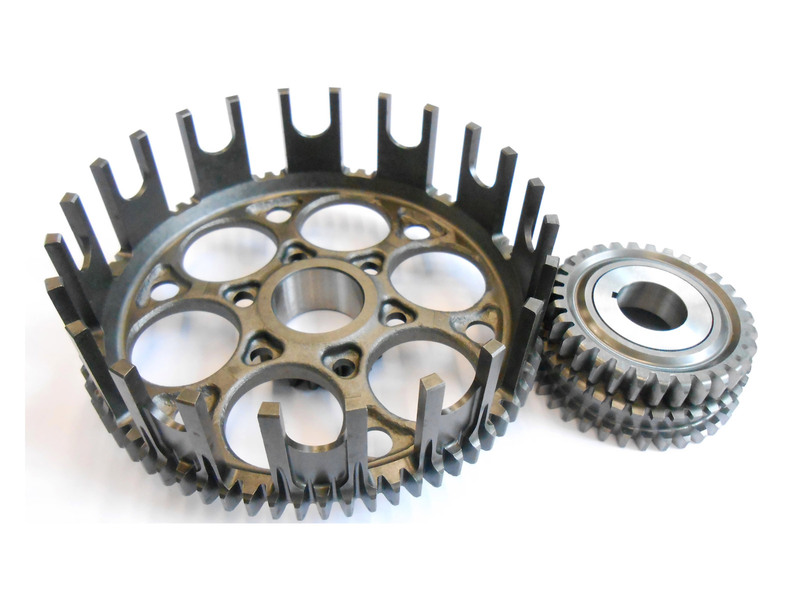 We specialise in the manufacture of spur gears and helical gears with tooth pitches up to module 3.00 mm. 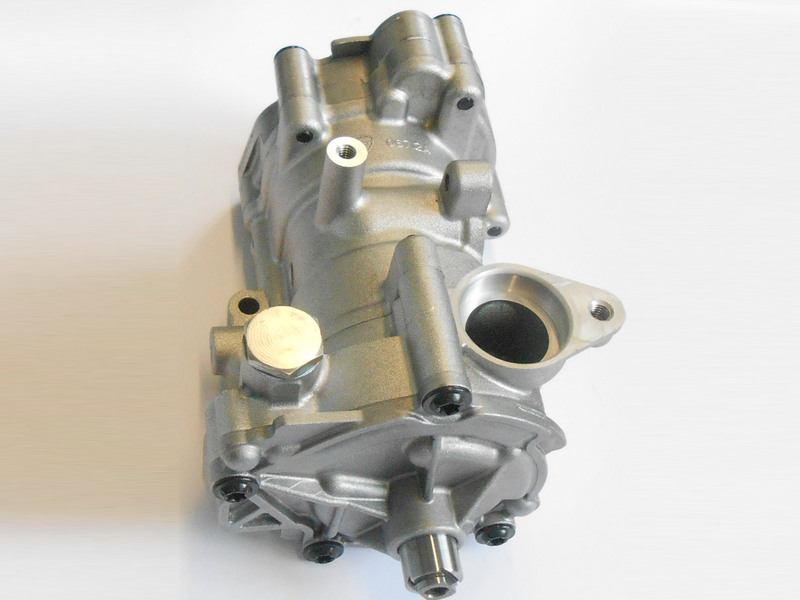 Based on the blueprints supplied by the customer and employing a co-design approach, we make oil pump units for medium and high specific power motorcycle engines, single stage or multi-stage, either geared or rotary trochoidal types. Based on the blueprints supplied by the customer and employing a co-design approach, we make gear wheels and pinions for gearboxes, gear motors and drive wheels for industrial use. The gear wheels have tooth pitches with modules up to 3.00 mm. Based on the blueprints supplied by the customer and employing a co-design approach, we make gears for planetary gear units. Based on the blueprints supplied by the customer and employing a co-design approach, we make and test geared Primary Transmission Pairs mainly for use on motorcycles. The pairs of spur and helical gear wheels have tooth pitches with modules of between 1.50 and 3.00 mm. 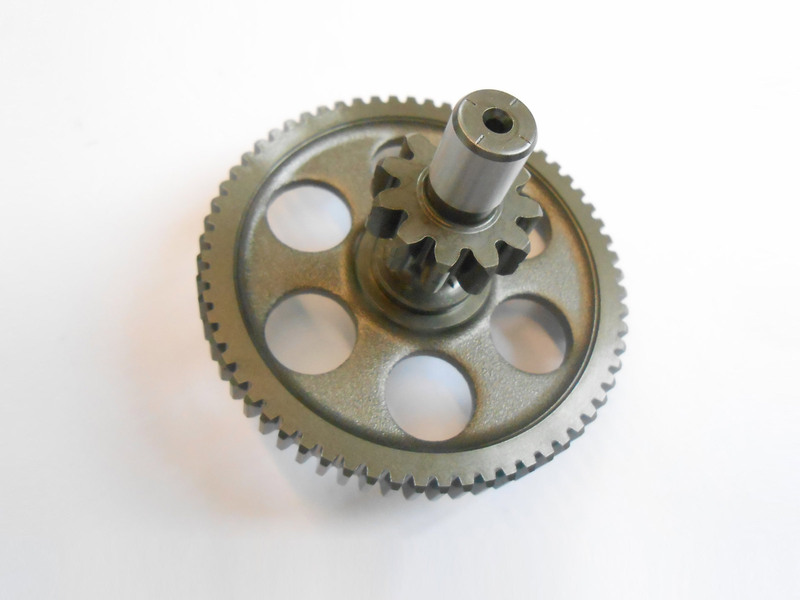 Based on the blueprints supplied by the customer and employing a co-design approach, we make and assemble complete gearboxes which are then tested before delivery to the customer, mainly for use on motorcycles. 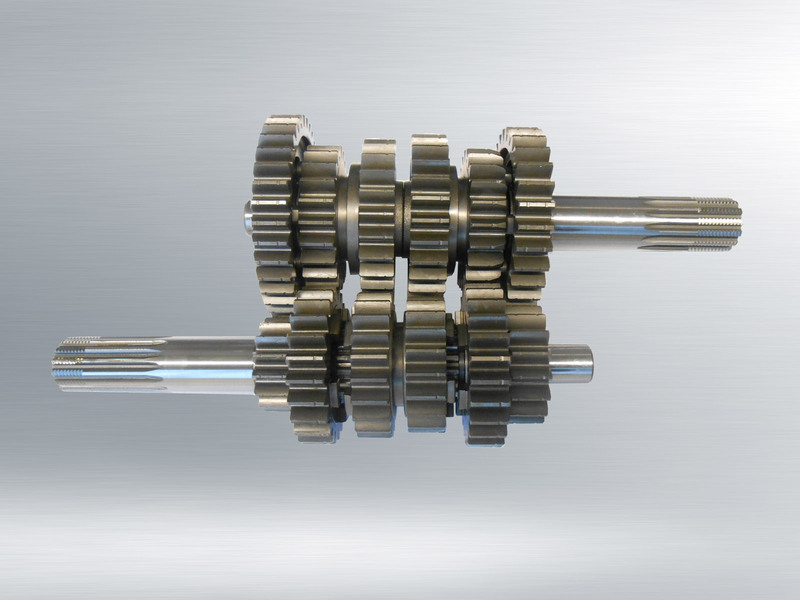 The gear wheels and splined shafts inside them have tooth pitches with modules up to 3.00 mm. The displacements of the engines to which they are fitted vary from 85 cc to 1400 cc.